Though cruises used to be seen as a holiday type only for older people, this misconception couldn’t be further from the truth. Cruises are suitable for everyone, whether you’re a young couple looking for a romantic trip away or busy family looking to find a holiday everyone will enjoy. If you’re thinking about taking a cruise with your family in the future but don’t know where to star when it comes to keeping the kids happy, here are some handy tips to help you make the most out of your vacation. Make sure you do your research when planning your family cruise. Cruises offer a variety of packages, all of which offer their own attractions, it’s just a case of finding the right one. Many cruises offer entertainment to keep everyone happy when off shore. You can therefore find cruises that provide entertainment for various ages, including special entertainment for children. There are cruise ships with cinemas, reps to keep everyone happy as well as a variety of activities including swimming. Parents should be aware that non-potty trained children may not be allowed access to the pool, but there are options available where this may not be a problem. Just make sure you have all the information you need before making any big decisions. If your children are old enough, then involving them in the planning process can be a great way to make sure that everyone gets what they want in a cruise. Your kids will enjoy feeling a part of the planning process and it means that you can take their own wishes into account. That way, you can create a plan that considers everyone; excursions for mum and dad, activities for the kids and, of course, things to do together as a family. When in doubt, always ask. Companies like Planet Cruise has experts available to answer any queries that you might have about the cruise you’re thinking of. By asking a travel advisor, you can better discover which packages are right for you, specifically which ones will cater to both you and the kids. It’s important that you feel well-informed about what’s on offer for you and your family. 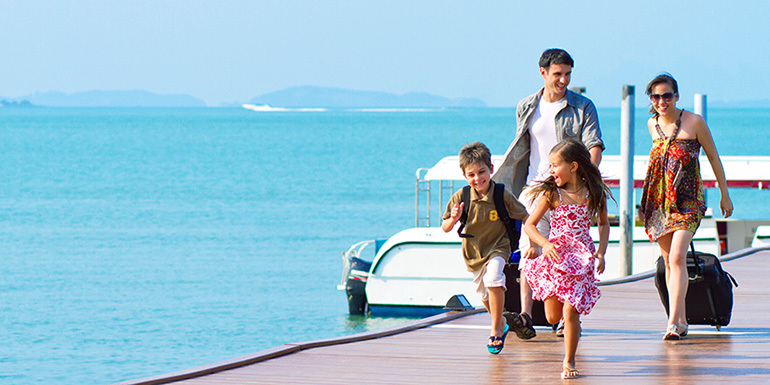 Ultimately, a family cruise can be great fun for everyone as well as a memorable holiday for everyone involved. Keep things simple and make sure you’re as thorough as possible when getting things organised for a fantastic cruise for you and your kids. Have you been on a family cruise holiday before? Do you have any tips to share? I have always wanted to take a family cruise. I have to talk my husband into it I think but its' on my bucket list for sure. This just made me want to plan one right now. Thank you for the article. I have always wanted to go on a cruise and now that we have littles it is nice to have an idea on how to plan for it. Thank you :) what a great article!